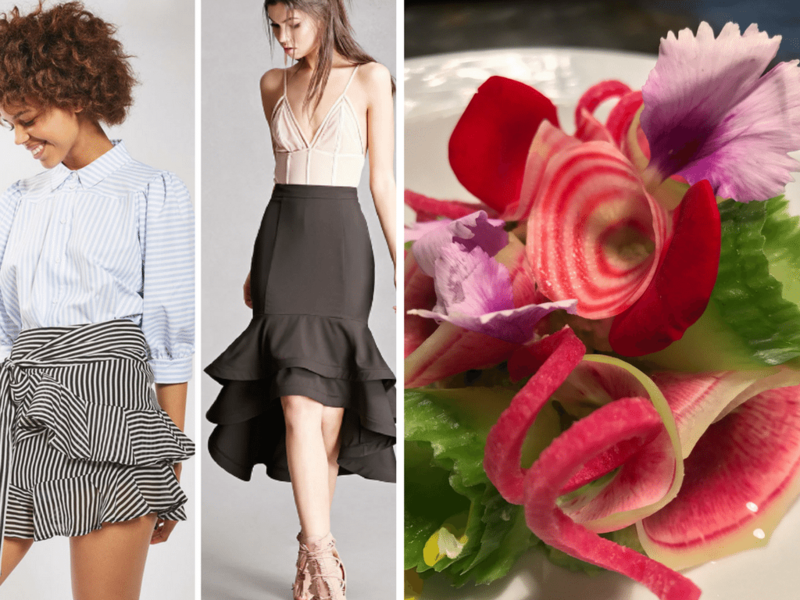 We don’t get too much time to shop – the special event and eCommerce biz is kind of 24/7 – and maybe that’s why when we see fashion, it gives us inspiration for eye-catching food dishes! Everywhere you look this season, you see ruffles. Ruffles are decorating necklines, shoulders, jackets, and even food. With any trend, moderation is everything which is why we are loving the detailing along the bottom of dresses or the classic sleeve ruffling. 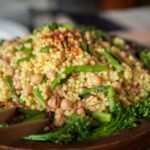 Our chef is also creatively inspired by what’s happening in the fashion world and decided to incorporate some of these textures into our newest Summer recipes. We’re thrilled to see that the look this season is layered, opulent and pretty – just like we love our food! They often say that if you like the way you look then you feel better throughout the day and food can have the same affect on your overall mood! If a meal is visually appealing, tastes delicious and add gets you excited for the next course, then we’ve done our job by providing “feel good food.” The way food is presented is what makes it so fashionable – first it must be enjoyable to eat, of course, it then should be placed on an intentional china plate, be arranged gloriously by our chef, brought to the guest by a hospitable waiter in a room gorgeously festooned leaving the guests pleased after the first bites. Whether for day or night events, we are creating layers of pretty and delicious ingredient offerings such as a luncheon dish that features a ruffle of pasta beggars purse with flounce of crispy prosciutto and trim of kale ruffle. 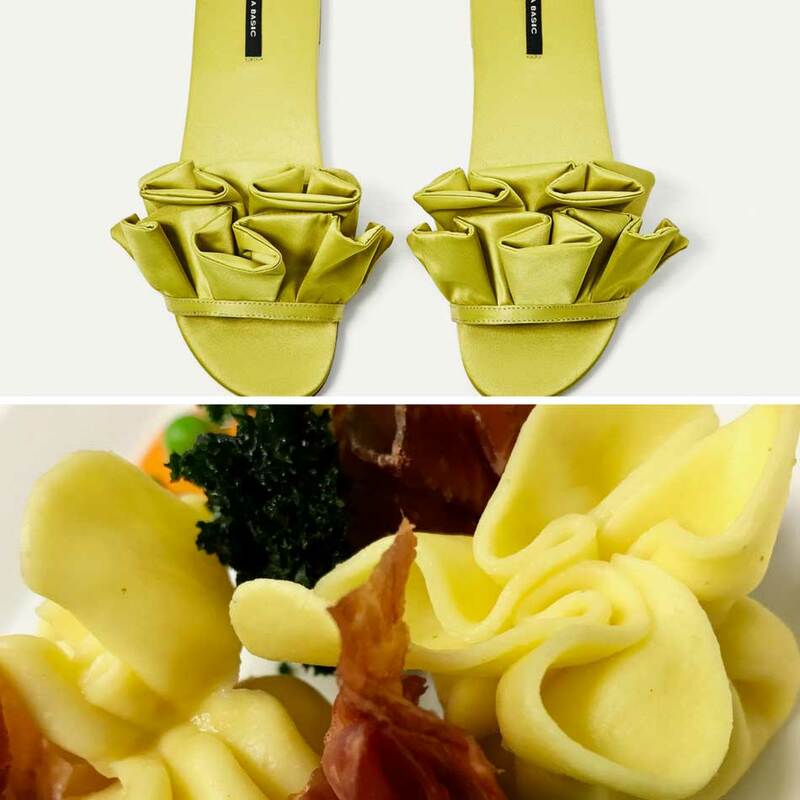 Acting as statement jewelry does on a dress, a light and flouncy ruffled potato adds an impactful accessory to the entrée plate while delivering a pow of flavor. Not to be outdone, a simple yet vibrant warm weather salad featuring ruffled rainbow radishes and cucumbers with feminine vegetable spirals, is picture perfect and could be offered at a ladies lunch or chic garden wedding. We’re clearly all aflutter with this flirty fashion trend and hoping to entice you with some maximum flavor at our next catered event!